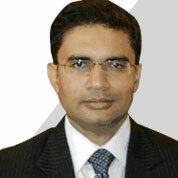 Mr. Rajat Bhargava is Head of Strategy & Performance Transformation and Global Business at Hero MotoCorp. Rajat was a Senior Partner in McKinsey & Company's Gurgaon office before joining Hero MotoCorp. He co-led McKinsey's Operations and Industrial Practices in India and led the Purchasing & Supply Management Practice in Asia Pacific. At McKinsey, he worked with Automotive OEMs, Suppliers and other Industrial companies on bottom line improvement, strategy and organization transformation. He served companies across India, Australia, North Asia, Europe, Africa and the Middle-East. Rajat did B Tech in Computer Science & Engineering from IIT Delhi, and MBA from IIM Ahmedabad, where he got the gold medal for academic excellence.